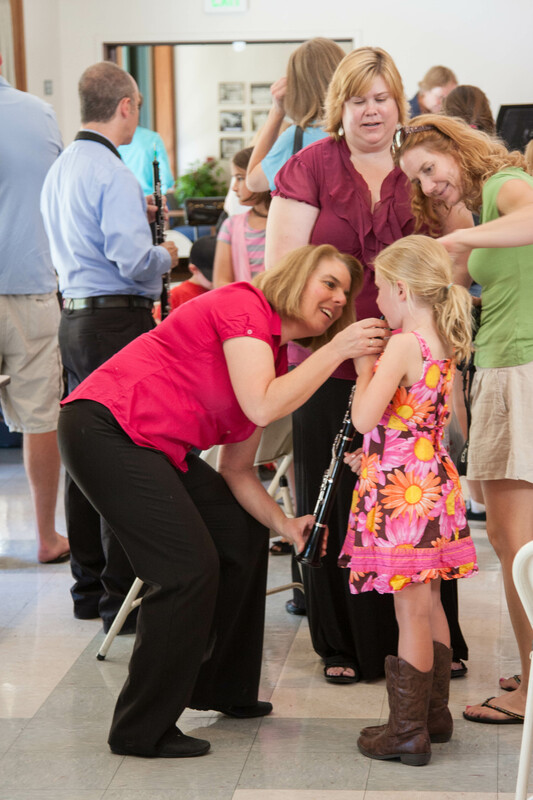 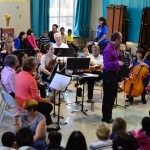 I want to thank you for organizing this free public event to educate young children about musical instruments and symphony music. 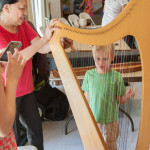 My 5-year-old son Michael normally could not sit thru a concert. 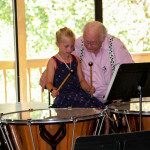 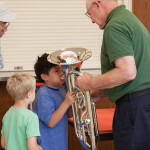 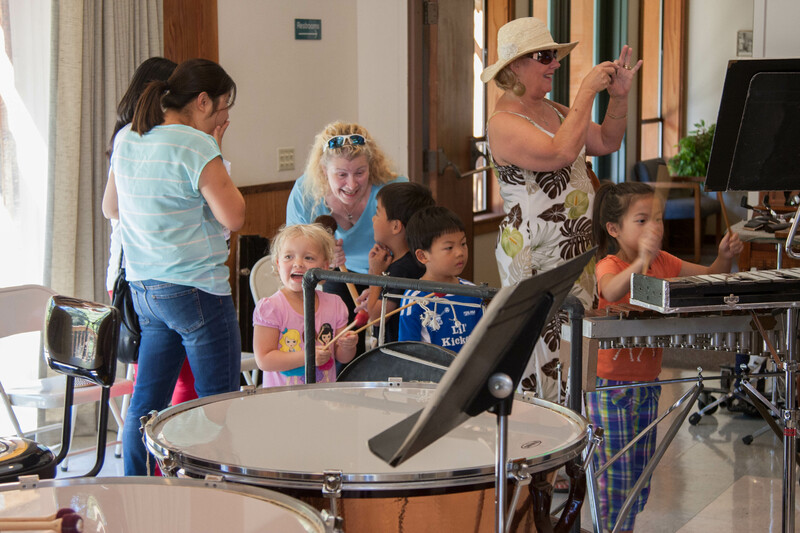 However, he thoroughly enjoyed the interactive family concert because he learned about the instruments played during Instrument Pet Zoo. 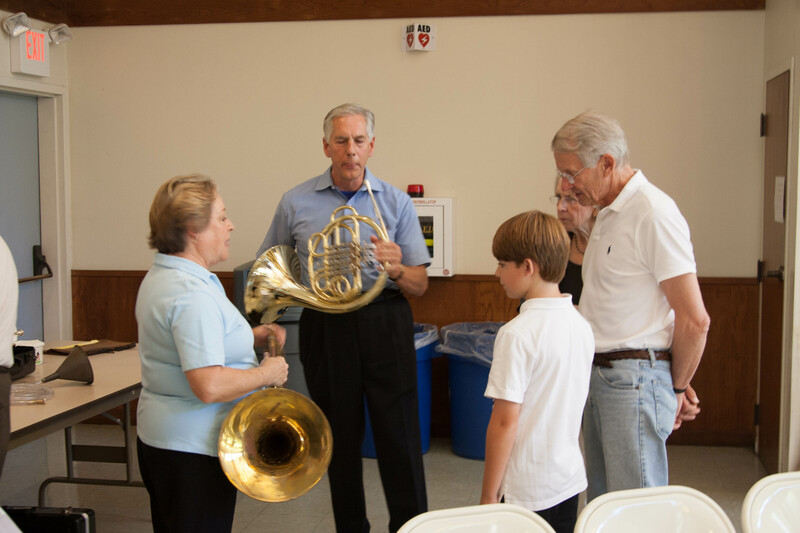 Indeed, because of your outreach efforts, Michael will likely be a fan of symphony music when he grows up. 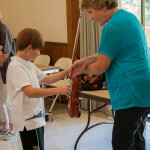 I hope you continue this wonderful event next year. 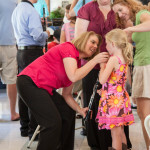 We will come. 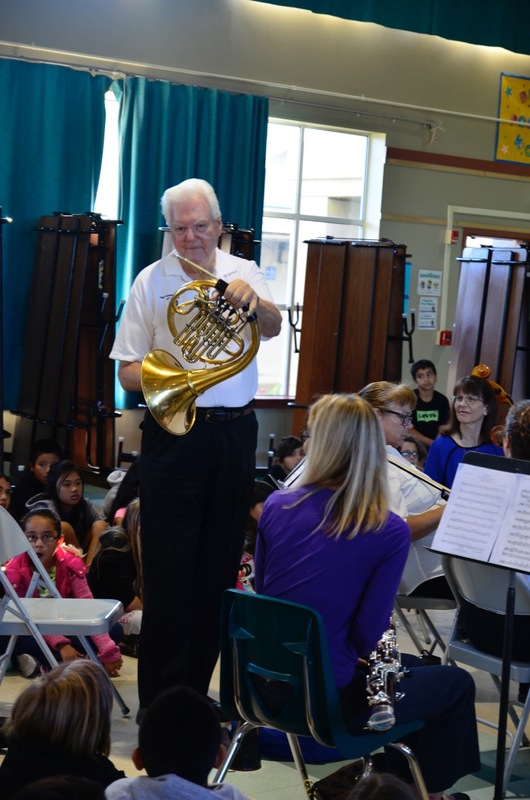 We look forward to seeing Michael at next year’s concert as well! 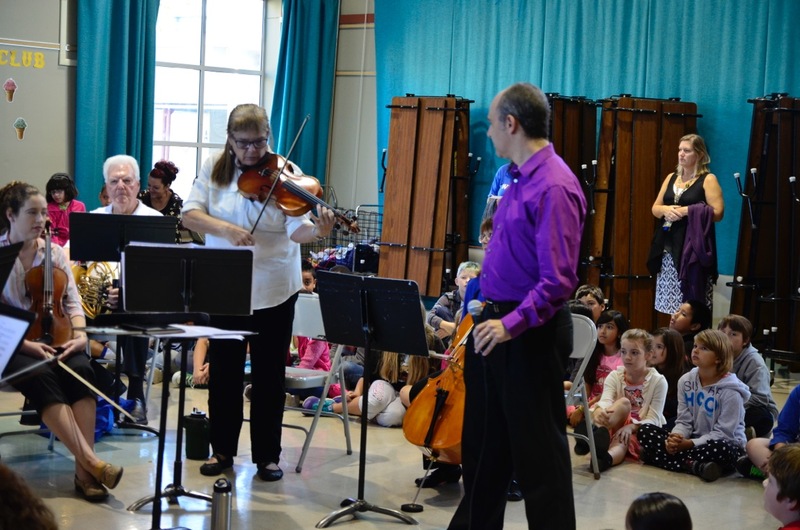 In addition to our family concert, this season we are introducing our new Music For The Schools program. 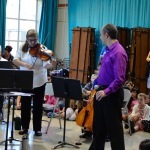 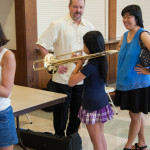 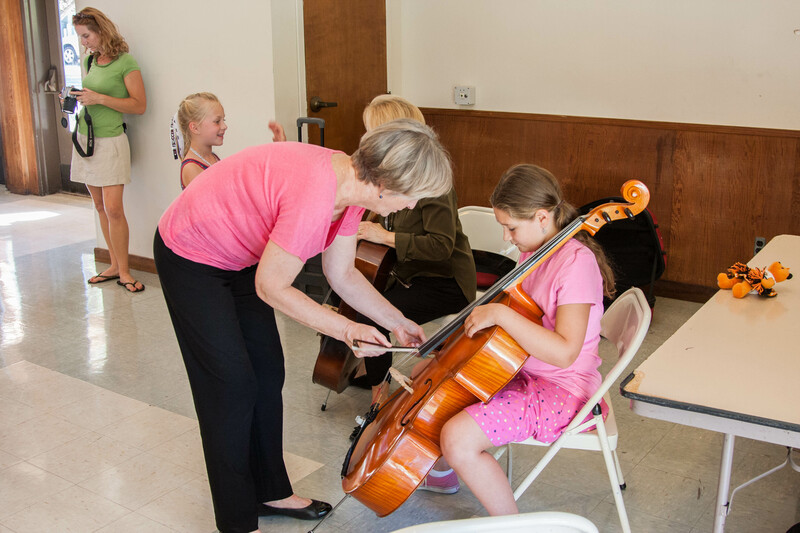 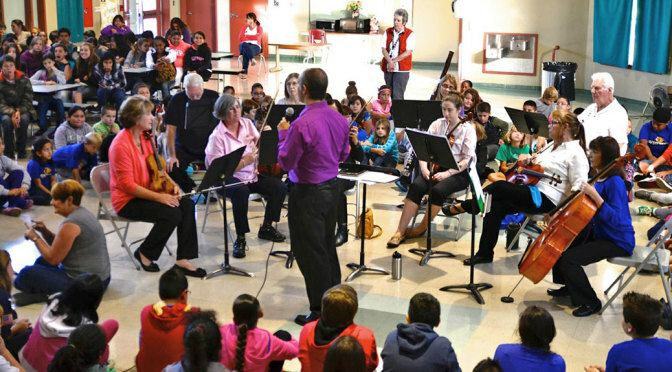 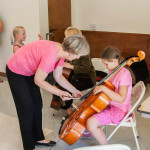 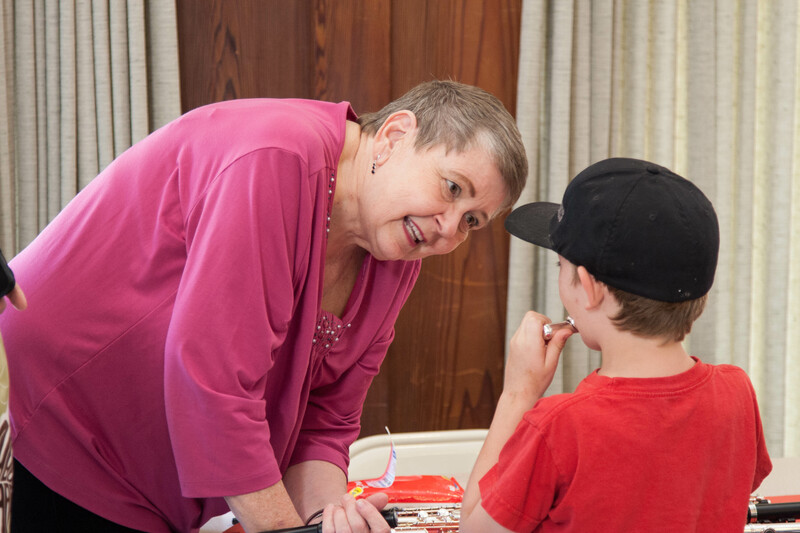 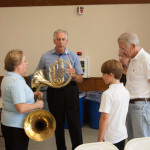 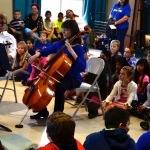 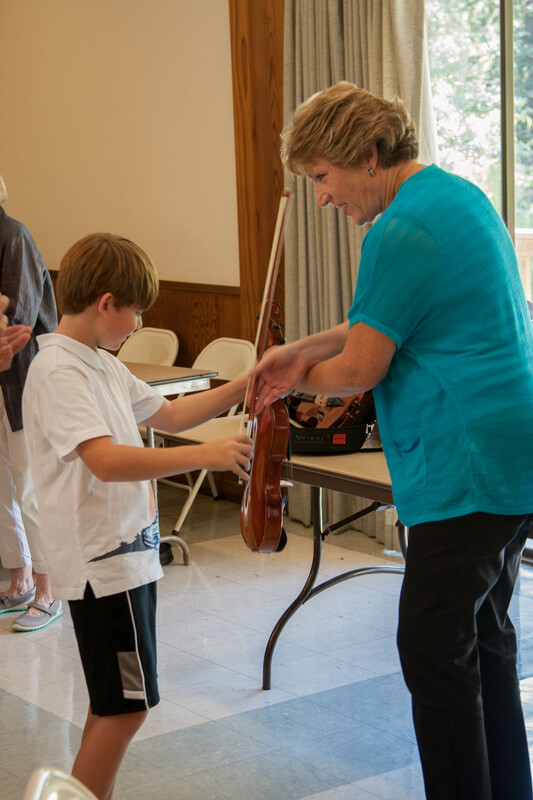 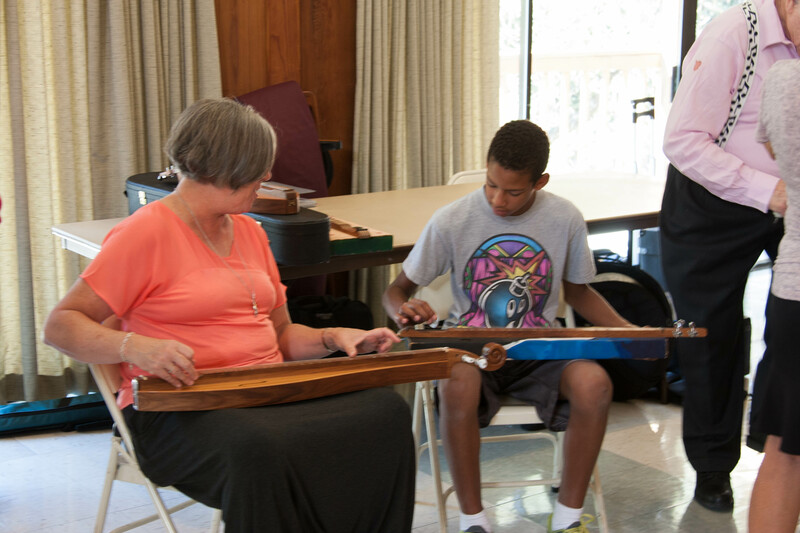 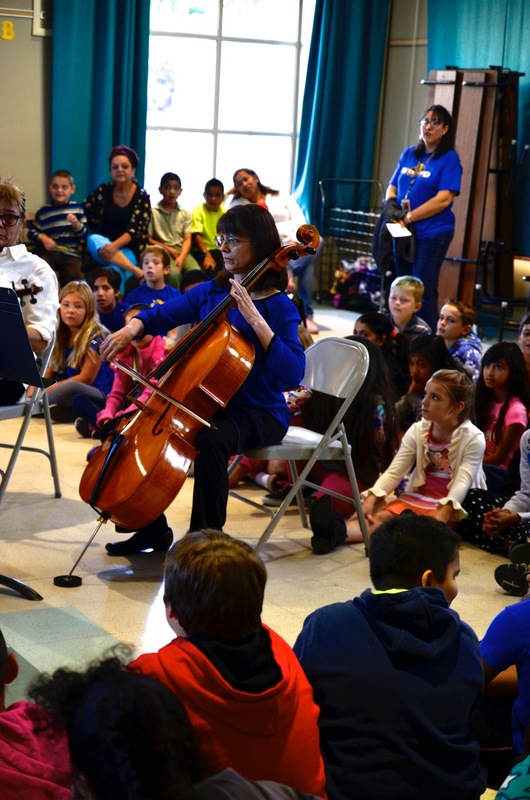 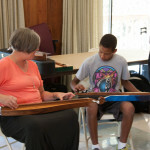 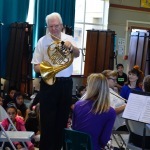 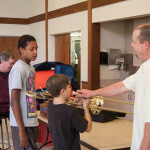 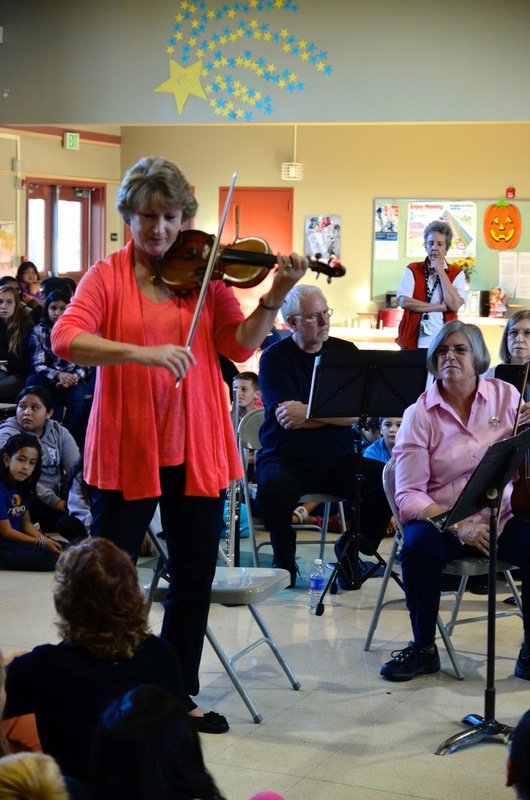 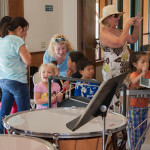 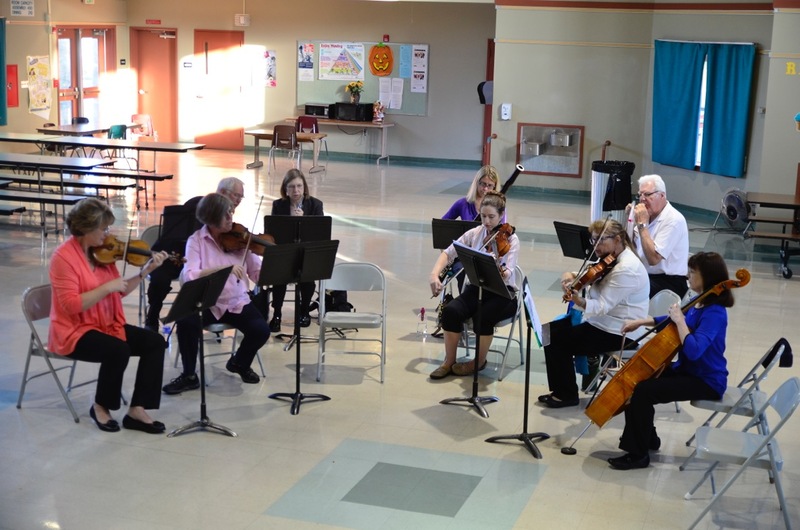 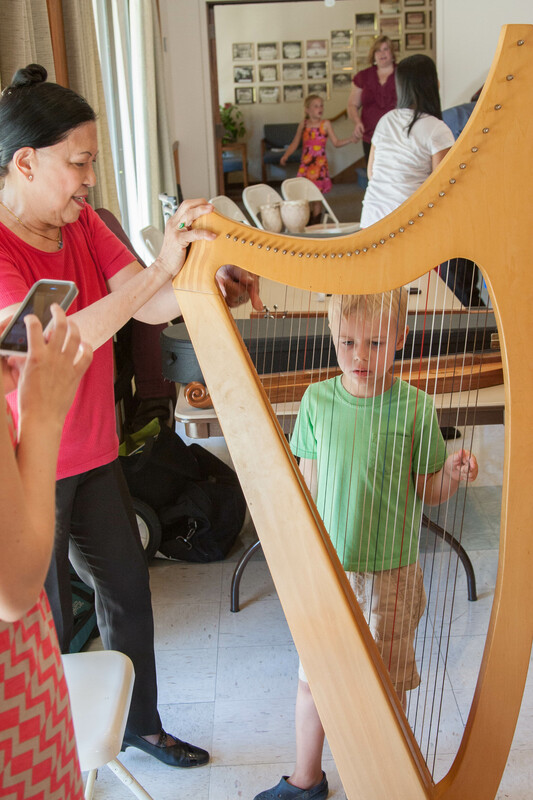 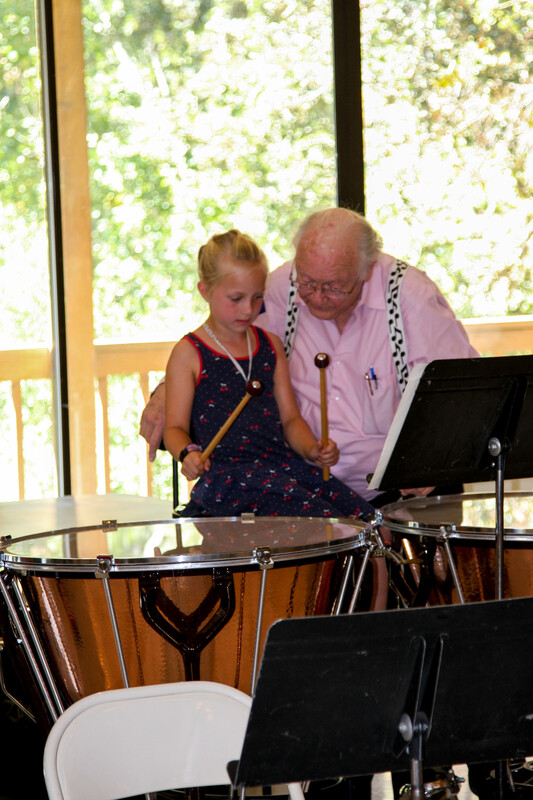 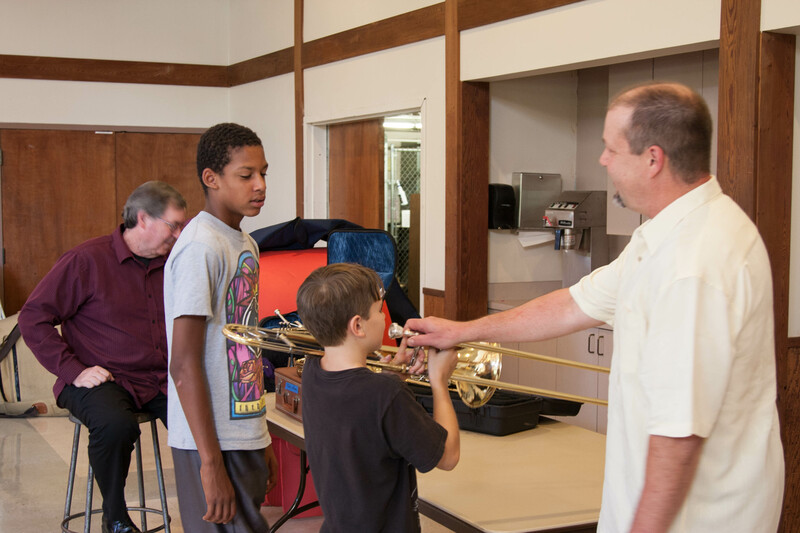 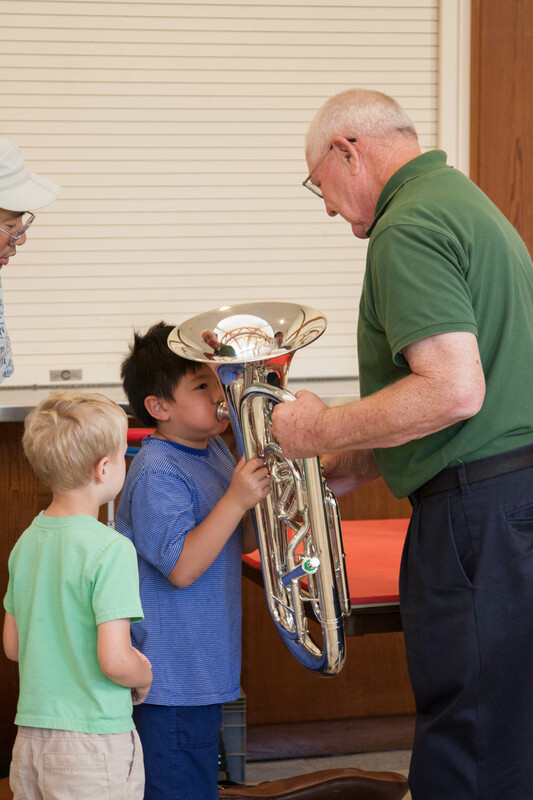 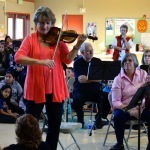 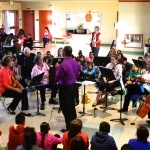 Spearheaded by Rosemarie Krovoza and Tim Meals, this program brings orchestra members into schools to give live performances and demonstrations of orchestral instruments in support of music education. 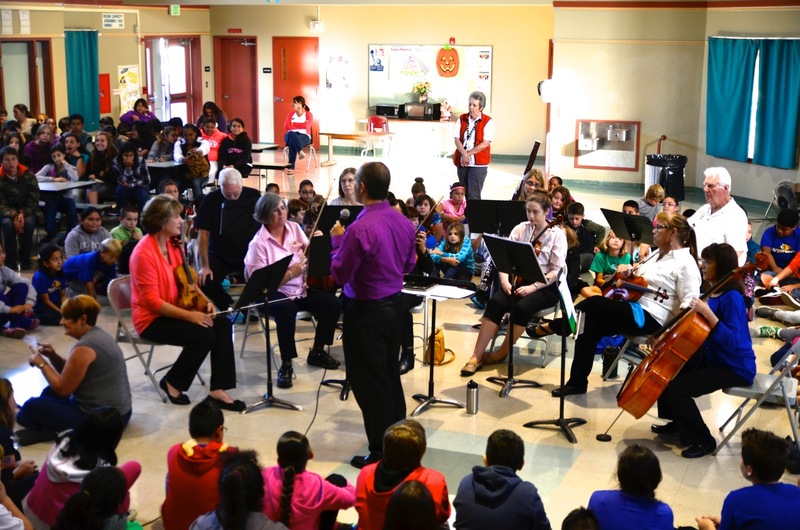 Our first session was on October 24, 2014, at an assembly held at Westwood Elementary in Concord, with El Dorado Middle School 6th graders also in attendance. 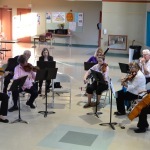 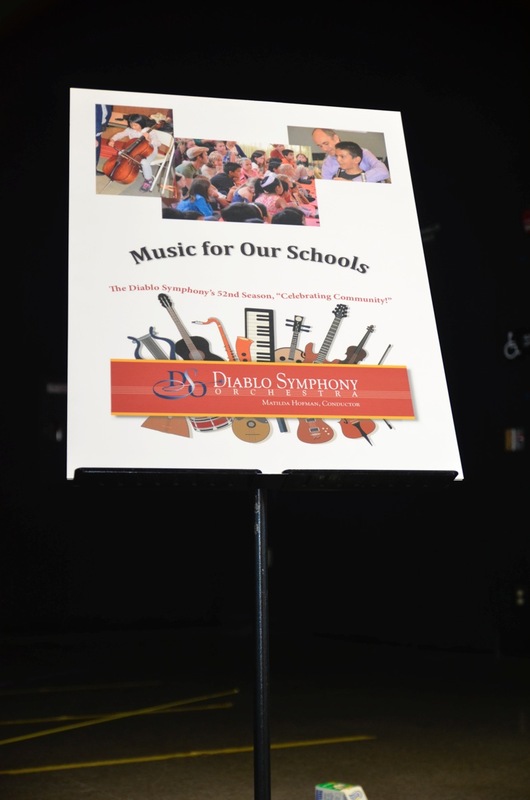 Ten musicians from the Diablo Symphony talked about their instruments and performed works by Mouret and Mozart. 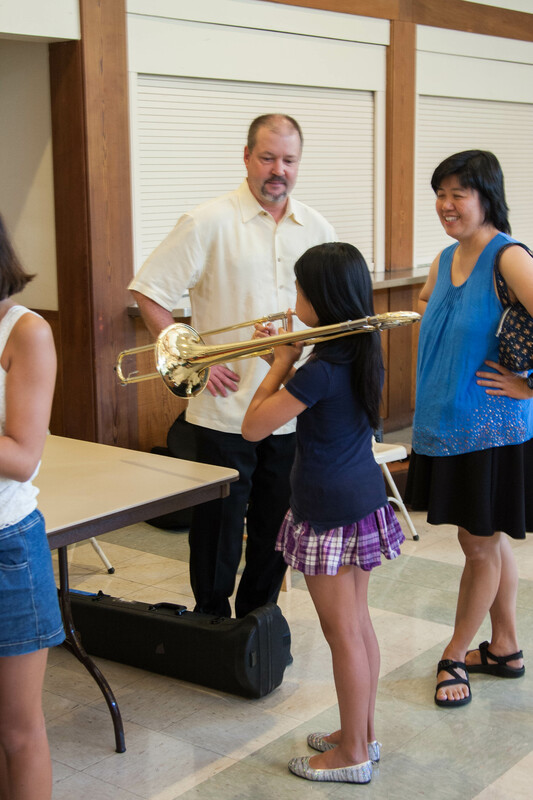 We were especially happy to see many audience members staying after the assembly to ask questions of our performers. 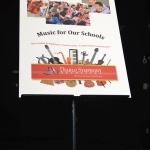 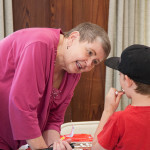 Thank you to teachers Karen Ashford and Loretta McNulty for hosting us. 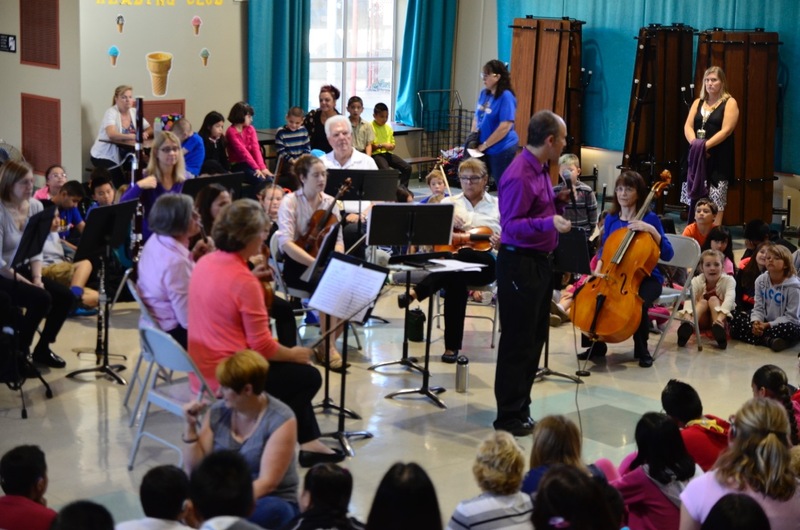 If you are interested in this outreach program for your school, please e-mail Rosemarie Krovoza or Tim Meals.